Our buddies over at Sip Wine are having a couple of Caduceus and Merkin Wine Tastings – a free one in Brisbane, and a Masterclass in Sydney costing $35pp. We will be tasting, chatting, laughing and discussing the wines of Maynard James Keenan’s Caduceus Cellars & Merkin Vineyards. Whether you know heaps about wine or very little, come and learn and enjoy the wines with some other like minded people. Wednesday 2nd December at 7:30pm across the road from Central Station on the Surry Hills side in the Gaelic Club, this Masterclass will be held in the Loft at the top of the Stairs of the Gaelic Club. 64 Devonshire St, Surry Hills. Taste Ten Caduceus & Merkin Wines in a Masterclass led by Matt Irwin from Sip Wine. Wednesday 2nd December 7:30pm at The Loft @The Gaelic Club, right across the road from Central Station in Sydney CBD. 64 Devonshire St, Surry Hills. Limited tickets available. Don’t be too put off by the price. Knowing Matt I expect the servings will be quite generous! Come down anytime from 1pm – 5pm & taste through 6 different Caduceus & Merkin wines including Caduceus SANCHA 2012, Caduceus ONESTE 2012, Caduceus NAGA 2012, Merkin The Diddler 2013 & Merkin Tarzan 2013 whilst Puscifer & TOOL tunes are pumping. The tasting is free and you can stay around and have a glass of wine or beer at Slingshot after you have tasted the wines. If things go well, there are plans to hold tastings in other capital cities in 2016, so get behind them! Caduceus Cellars Lei Li Rose 2013: 100% Nebbiolo Rose from Southern Arizona. Delicious, fragrant & dry style of Rose that lingers in the mouth screaming for some procuitto and cheese. 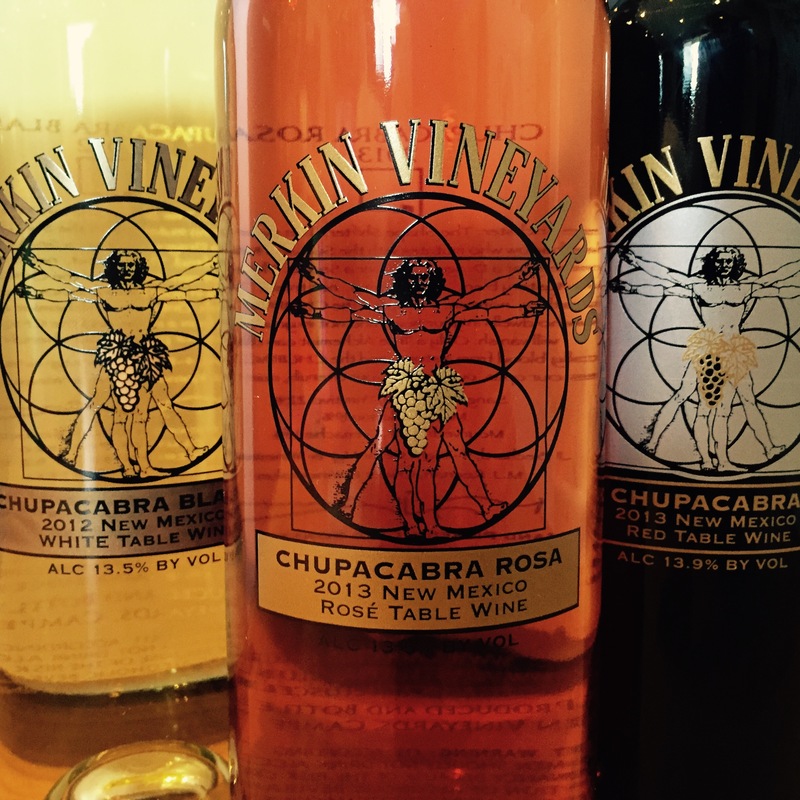 Merkin Chupacabra Rosa 2013: A Rose creation of 62% Primitivo & 32% Montepulciano from Luna County in New Mexico.Luna County in New Mexico, USA. Whole bunch pressed, then Barrel fermented and rested in Stainless steel for 9 months TASTING NOTES: Watermelon and cranberry jolly ranchers…. Cherries, fruit punch, and pink roses. Merkin Chupacabra Red 2013: 44% Cabernet Sauvignon, 31% Petite Sirah, 22% Syrah, 3% Malvasia Bianca from Luna County in New Mexico.The wine is more subtle than you would expect with an excellent balance of fruit, acidity, alcohol and tannin. The Chupacabra 2013 is blend from three full bodied grapes, Syrah (Same as Shiraz but grown in USA), Cab Sauv & Petite Sirah plus they throw in a touch the aromatic white Malvasia Bianca. You can taste each of the four different grapes but they are woven together seemlessly to create a delicious and complex red. The end result is greater than the sum of it’s parts. Easily sipped without food or bring it together with BBQ meats, slow cooked meals or char grilled vegetables” Matt@Sip Wine. You can see the full range of wines and packages on the Sip Wine website here. We all know it’s expensive, but let’s keep the whining in our glasses, and not in the comments below. The Puscifer mailing list has advised us of a new set of wine signings, this time including dates in Colorado, New Mexico and Texas. Feb. 17 Fresno, CA 4:30 – 7:30 pm @ 650 W. Shaw Ave.
Feb. 26 & 27 Denver, CO 4:30 – 7:30 pm @ 7400 E. Hampden Ave.
Mar. 23 Plano, TX 4:30 – 7:30 pm @ 2201 Preston Rd. Mar. 24 Austin, TX 4:30 – 7:30 pm @ 525 N. Lamar Blvd. Mar. 27 San Antonio, TX 4:30 – 7:30 pm @ 255 E. Basse Rd. I’ve only watched the first few minutes of this video (and none of part 2) on Wine Library TV, but it would appear to have an extensive interview with Maynard and Eric in regards to their wine making exploits. Thanks to Justin for the tip! 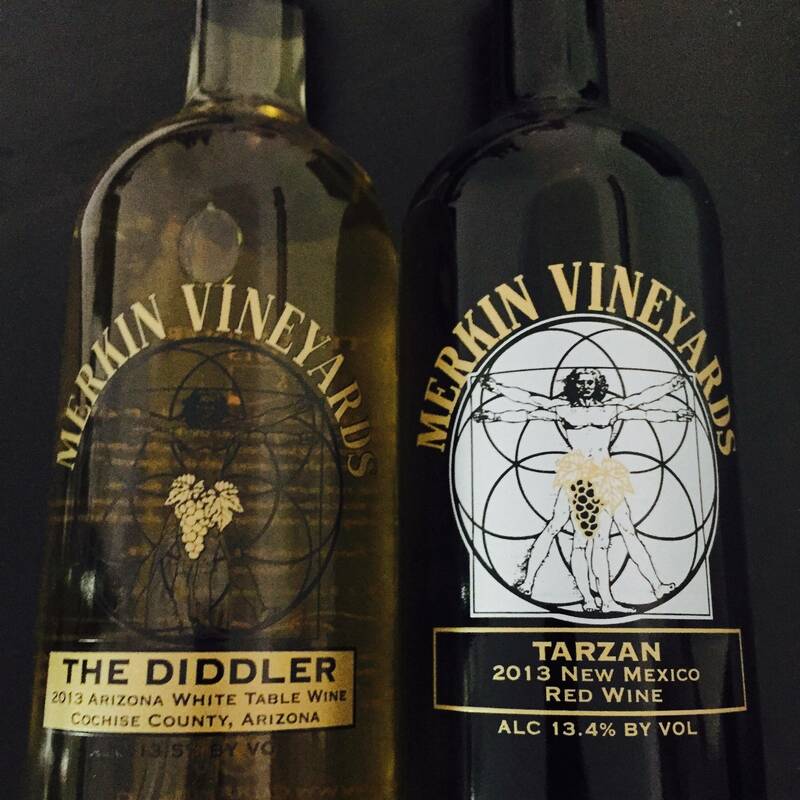 Can Maynard James Keenan Put Arizona Wine on the Map? I found a somewhat interesting article/interview with Maynard and Eric Glomski about their wine making on the Phoenix New Times website. A pretty interesting read if you like this side of Maynard’s work, though don’t be expecting anything Tool-related. Maynard and Eric Glomski from Page Spring Cellars will be attending a series of signing events in California, Nevada and Arizona later this year. The pair will be signing bottles of the debut 2007ASV releases as well as the 2006 Merkin Vineyards Chupacabra, and a handful of Keenan’s Caduceus wines. I imagine it’s likely that Tool will be a taboo topic as with previous sessions.